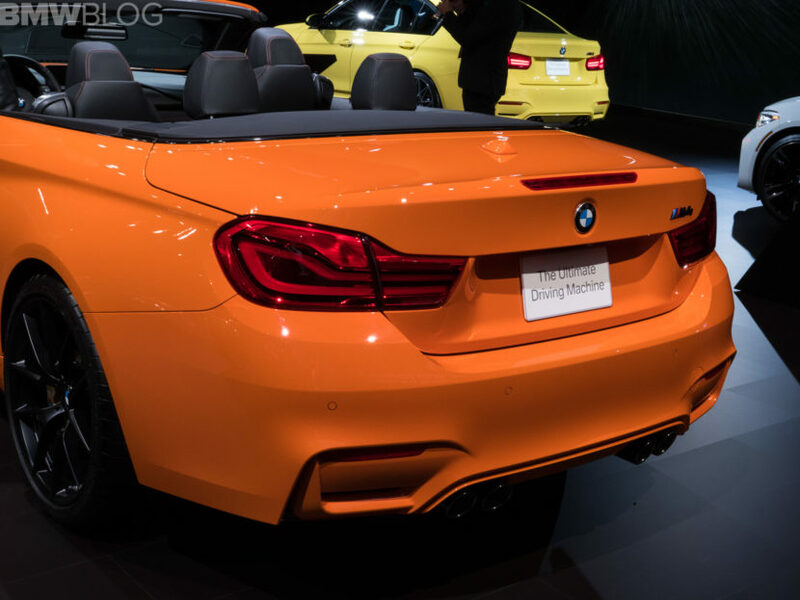 The BMW M4 Convertible is nothing new. We’ve all seen it before, we’ve driven it before and we know what it’s about. That doesn’t mean we don’t like seeing it, though. 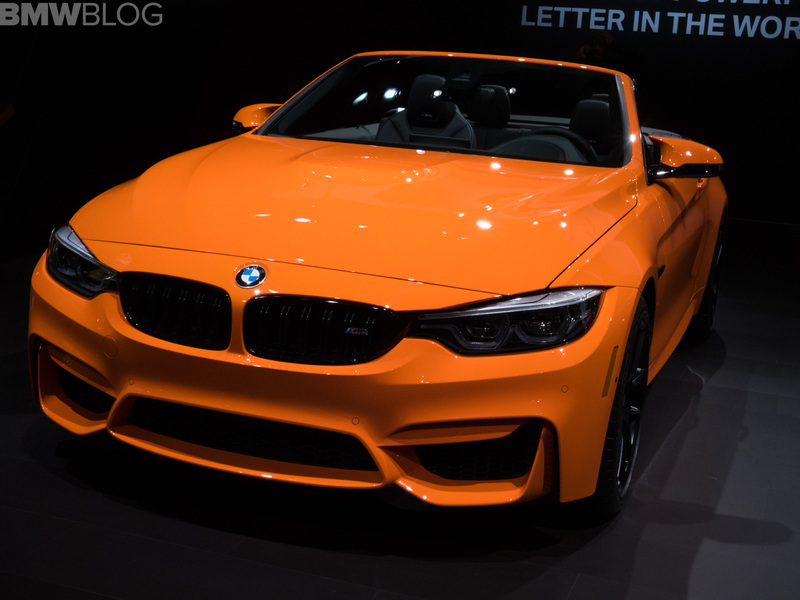 At the 2018 New York International Auto Show, we got to see the M4 Convertible on display but it was a bit of a unique one, as it’s wearing a very striking Fire Orange paint color. 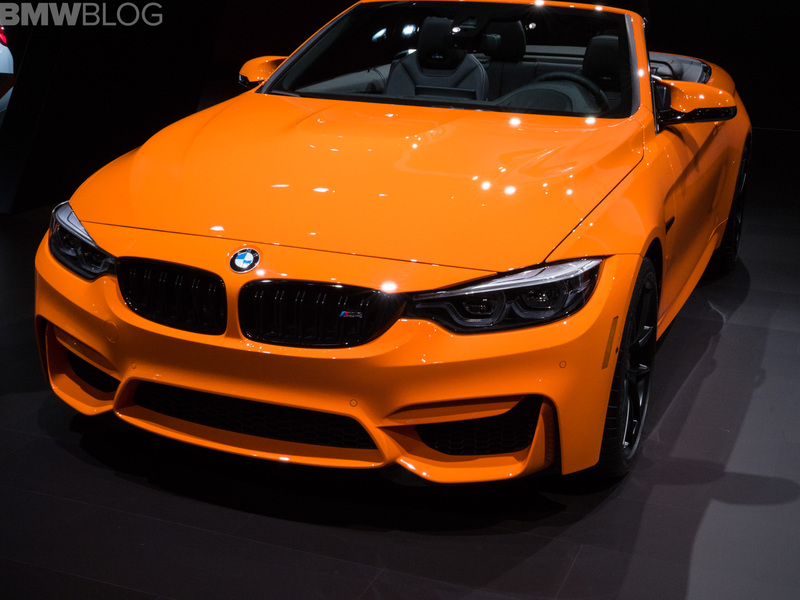 Fire Orange is a BMW Individual Color and you can get it on really any BMW. 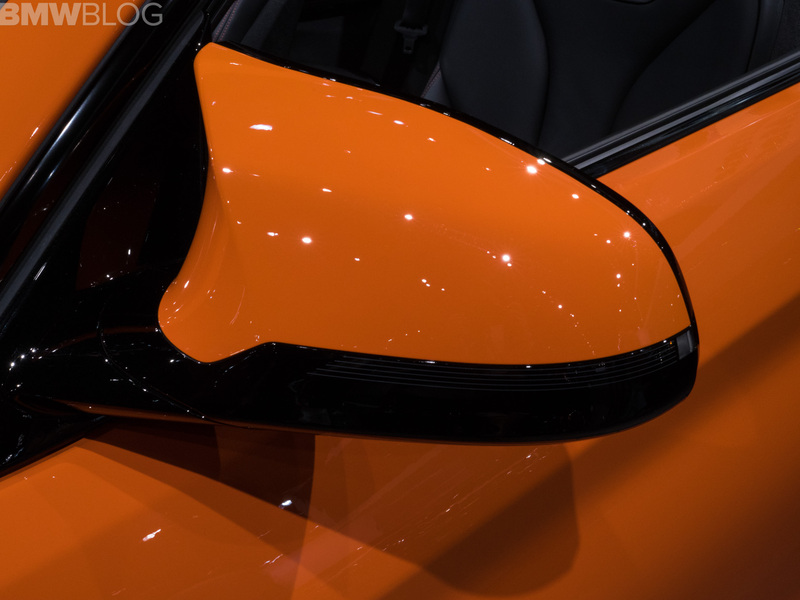 And if you’re looking for something bright and aggressive, we’d recommend it, as it looks great. 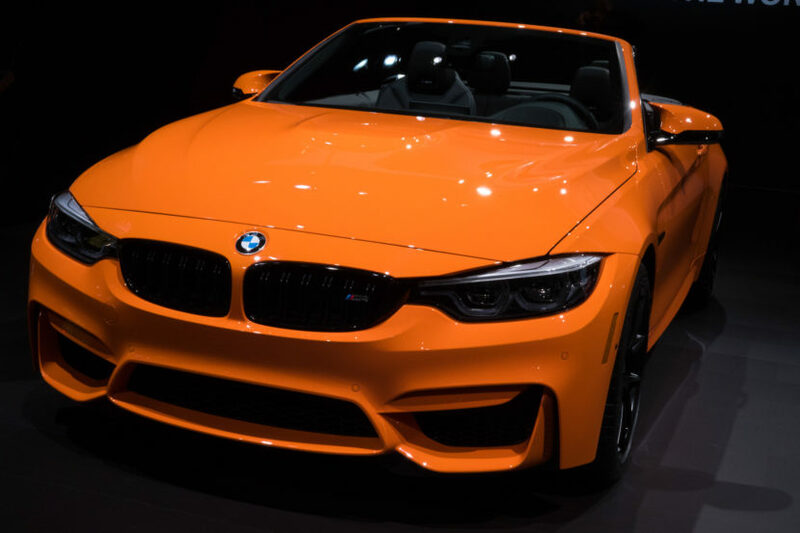 BMW’s M Performance Parts division got their hands on this specific M4 Convertible, giving it its Fire Orange paintwork but also giving it new shoes. So it’s also wearing the brand’s new Style 763M wheels, wrapped in sticky Michelins, and they look great. The sort of flat black finish on the wheels contrasts really nicely against the glossy orange paint. It’s such a sharp and aggressive looking car. 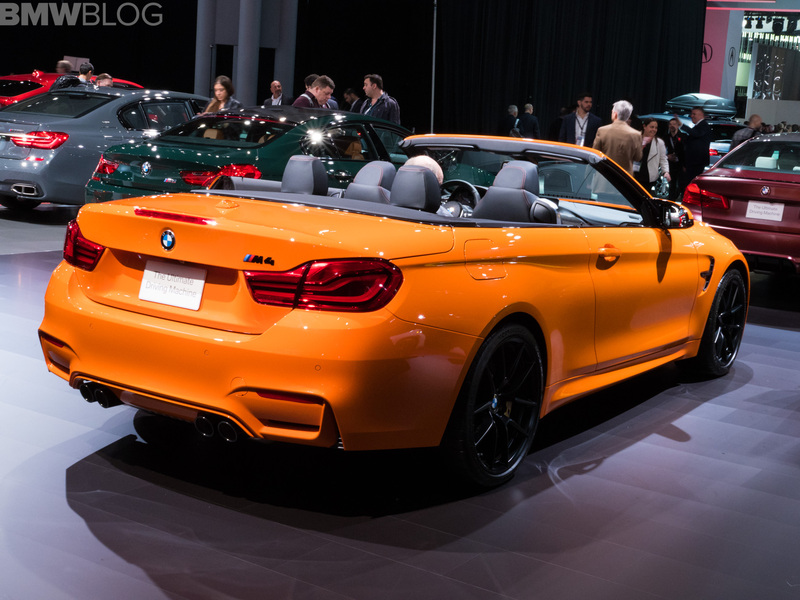 Aside from that, this is a pretty standard BMW M4 Convertible Competition Package car. 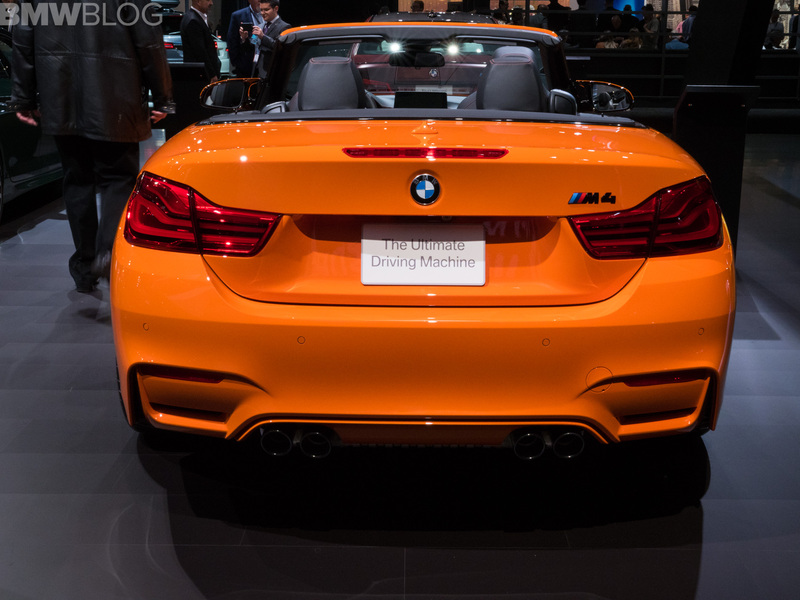 So it uses the same 3.0 liter twin-turbocharged I6 engine that makes 444 hp and 406 lb-ft of torque. 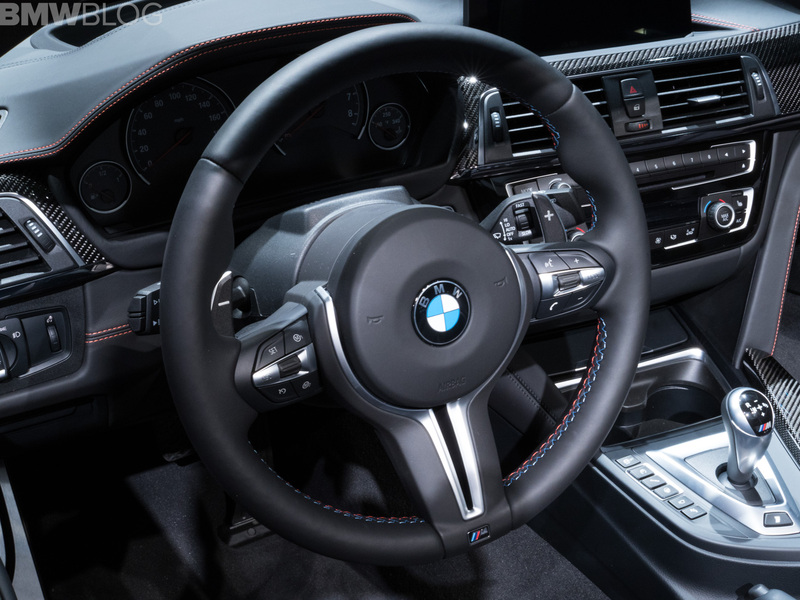 This specific car is equipped with BMW’s seven-speed DCT, so 0-60 mph comes in the low four-second range. Inside the this M4 Convertible is a black leather interior with orange contrast stitching, to match its paint, and carbon fiber trim. 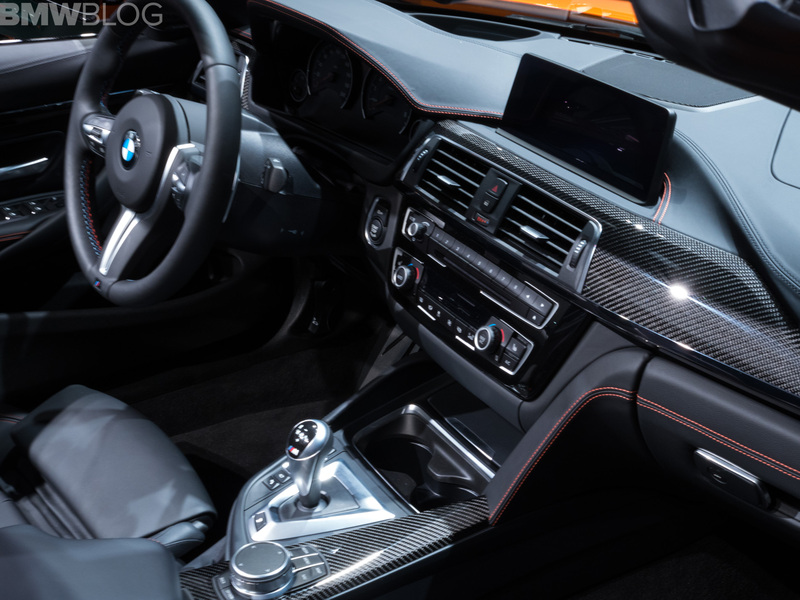 It’s very aggressive looking and very sport and we like it quite a bit.It also gets the cool M-striped seat belts, as all Comp Pack cars do, which are almost worth the extra package themselves. 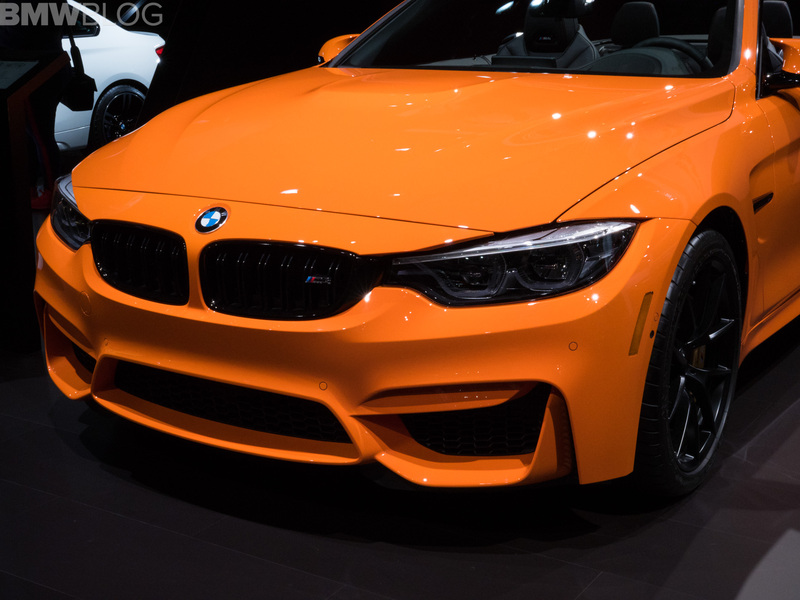 To be honest, it’s hard to make us stop and stare at any M4, only because we’ve seen so many of them and driven them countless times. We’ve become a bit jaded. So when we see one that really catches our eye, we get excited. 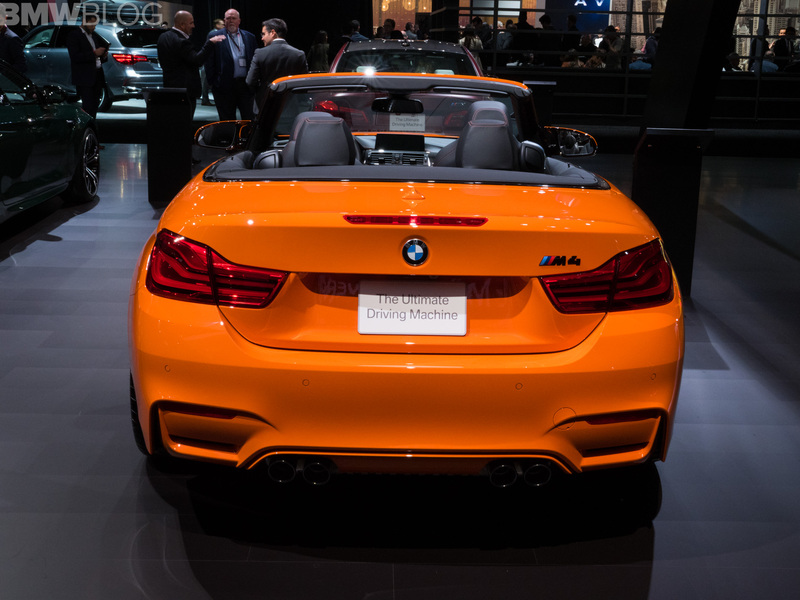 And this Fire Orange M4 Convertible is certainly something to get excited about.